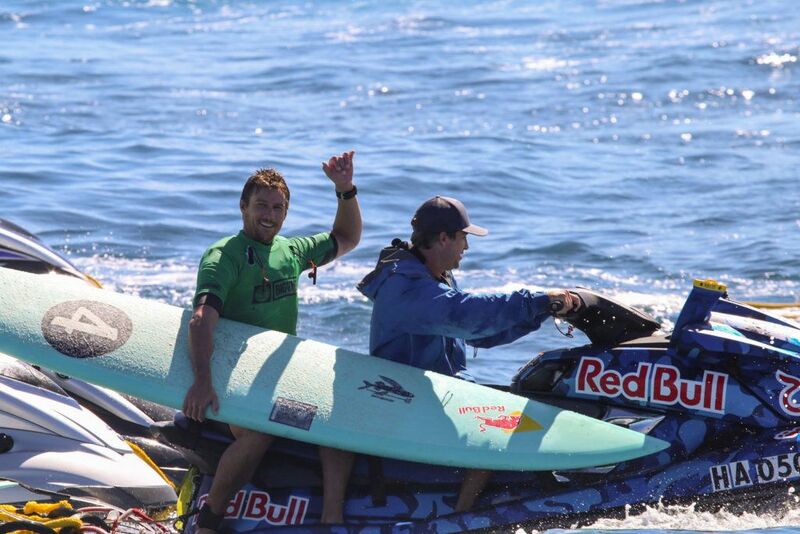 -WALSH NAILS A PERFECT SCORE IN ONE OF THE BEST TUBE RIDES IN HISTORY OF PADDLE IN SURFING. 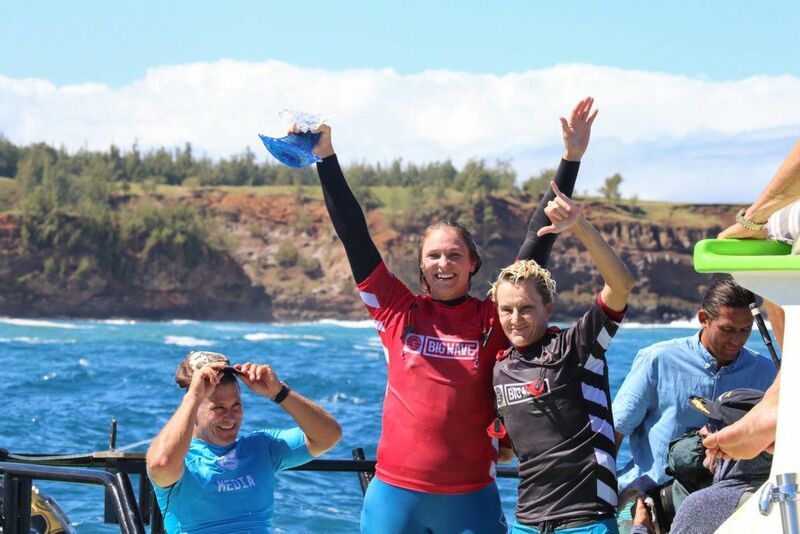 Paige Alms (HAW) earned back-to-back victories today at the Women’s Pe’ahi Challenge. PE’AHI, Maui, Hawaii/USA (Saturday, October 28, 2017) – Paige Alms (HAW) and Ian Walsh (HAW) have won the World Surf League (WSL) Big Wave Tour (BWT) Pe’ahi Challenge today in towering 30-to-40 foot-plus conditions at the world famous Pe‘ahi in Haiku, Maui, Hawaii. The second event of the 2017/2018 BWT season tested the top big wave chargers as a solid swell delivered massive surf over two days at Pe’ahi with wave faces exceeding 45 feet. Event officials have rated this year’s Pe’ahi Challenge a Gold coefficient, the highest possible BWT rating, which will allocate 15,625 points to first place. 2016 Women’s Big Wave Champion Alms successfully defended her event title today after defeating a stacked field of competitors in the Final. 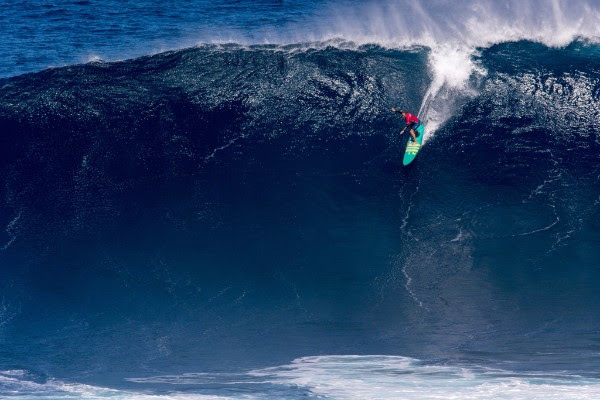 Alms, who became the first ever Women’s Big Wave Champion at Pe’ahi last season, made history once again with her unprecedented big wave victory. The Women’s Pe’ahi Challenge saw all six competitors charge monstrous set waves in the 60-minute Final. Alms stayed selective throughout the Final, utilizing her local knowledge to take off on two gigantic waves for the winning score, an excellent 21.23 combined score (out of a possible 30). Big wave veteran Keala Kennelly (HAW) earned second place in the women’s event with four fearless attempts. Kennelly turned in a 17.21 heat score, including an impressive completion for a 7.17 single-wave score. Justine Dupont (FRA) looked in great form with three big attempts and took the third place result. Bianca Valenti (USA), Andrea Moller (BRA) and Felicity Palmateer (AUS) also charged the epic conditions to earn fourth, fifth and sixth place, respectively. 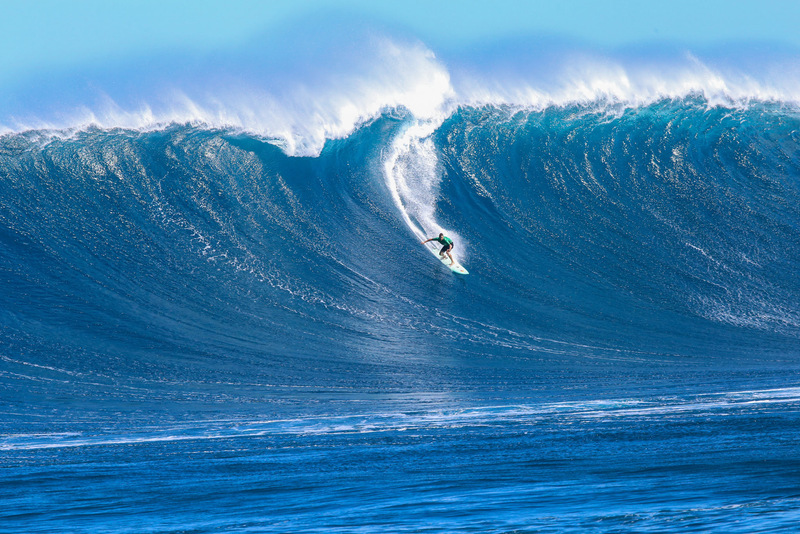 Ian Walsh (HAW) earned his first Big Wave Tour victory at the Men’s Pe’ahi Challenge. Walsh earned his career-first BWT victory after dominating his Round 1 heat and the Final series. The 34-year-old, who was invited to compete as an event wildcard, capitalized on his opportunity to earn first place at his home break in Haiku and vault up to third place on the BWT rankings. The men’s Final saw heated battles amongst the top six competitors. 2014/15 BWT ChampionMakuakai Rothman (HAW) gained an early lead with a 5.60, but the field quickly battled back with big attempts. 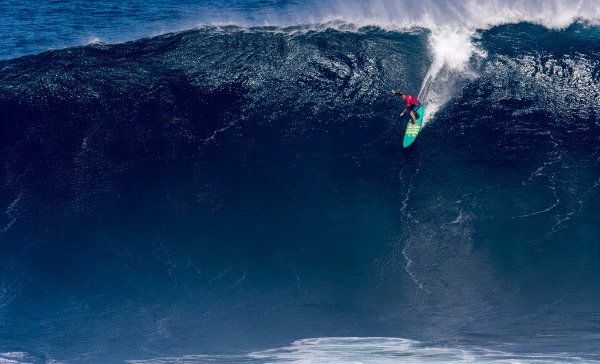 Two-time Pe’ahi Challenge winner Billy Kemper (HAW) opened his campaign with a committed 5.43 and maintained his do-or-die mentality after taking off impossibly deep on an enormous wave for a 6.57 backup score. Kai Lenny (HAW), winner of the Puerto Escondido Challenge and BWT rankings frontrunner ahead of Maui, narrowly missed a collision with Ryan Hipwood (AUS) in the Final after committing to an under-the-ledge late drop into a 35-foot wave. Lenny managed to successfully ride out his first wave and stamp out a rail-carve for a 6.93 from the judges, then found a 4.40 backup score to finish fourth in the event. Lenny’s result strengthens his lead on the BWT with Kemper following closely behind and Walsh moving up to third. Big wave veteran and Pe‘ahi professional Greg Long (USA) displayed good control throughout the event and maintained deep positioning in the lineup during the Final. En route to a fifth-place finish, Long took a high-line approach on his first wave in a barrel-hunt attempt and completed two rides to the channel for a combined heat score of 14.67. The men’s second Semifinal saw event-best performances from both Walsh and Hipwood. Both surfers dropped Perfect 10’s for navigating steep takeoffs and cavernous barrels, with Walsh flying through two tube sections prior to winning the event. Ahead of his runner-up result, Kemper narrowly got the edge over Danilo Couto (BRA) andMark Healey (HAW) in Semifinal 1. Knowing Healey’s capabilities at Pe‘ahi, Kemper stayed close to the 35-year-old waterman in order to secure his position in the Final. Couto kept busy on the left-hand breaks, but fell just 0.57 points short of advancing through to the Final and will exit in Equal 7th place. 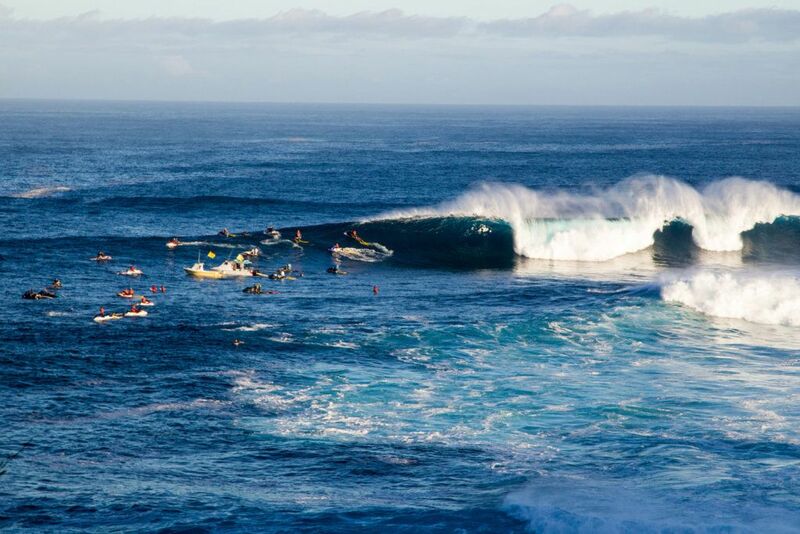 Highlights from the Pe’ahi Challenge can be found at WorldSurfLeague.com, the WSL app and on the WSL’s Facebook page. The 2017/2018 WSL Big Wave Tour season is divided into Southern Hemisphere and Northern Hemisphere components. The Southern Hemisphere window saw the completion of the Puerto Escondido Challenge earlier this year. The Northern Hemisphere window opened on October 15 and will run through February 28, 2018, with the potential to run the Nazaré Challenge in Portugal and the Mavericks Challenge in California. WSL Big Wave Tour officials will monitor swell producing storms for the next four months and watch for the conditions that will produce waves in the 30-to-60-foot range for the remaining Northern Hemisphere events. Once the call is made, competitors will have 72 hours notice to be ready to compete. The 2017/2018 WSL Big Wave Tour is proudly supported by Michelob Ultra, the Official Beer of the Big Wave Tour in North America, and Quiksilver Airlift, the Official Inflation Vest of the 2017/2018 Big Wave Tour. For more information, check out WorldSurfLeague.com.